DEBEG Marine, Inc., Salem, N.H., has announced FCC approval of its new model 2340 watch receiver. 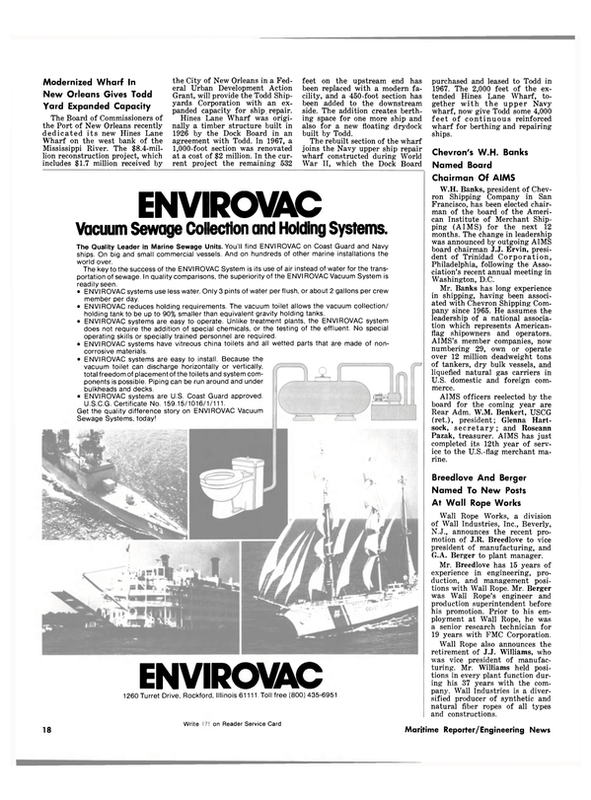 The receiver was designed to conform to SOLAS regulations and the requirement that all vessels over 300 gross tons will be equipped with a watch receiver by March 31, 1981. The unit has been proven on hundreds of oceangoing vessels, having already met all the required European standards. The DEBEG 2340 RT watch receiver/auto alarm provides permanent watch keeping on the international distress frequency, 2182 kHz. Three operational modes are push button selectable. When in MUTE mode, the receiver is in operation but AF signals are inaudible. When in the 2-TONE Filter mode, only the 1300 Hz and/or 2200 Hz are audible. In the NORMAL mode, all AF signals are audible. The DEBEG 2340 is designed for connection to the ship's main power, either 110/220-volt 50/60 Hz, and the 24-volt dc emergency battery. Automatic switchover to 24-volt dc is performed in case of ac power failure.